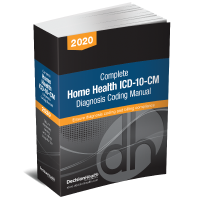 This book breaks down complex Medicare coverage requirements and provides insight about recent coding and billing changes, including the introduction and use of modifiers -PO and -PN, new place of service codes, and more. 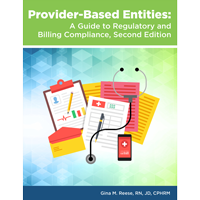 Provider-Based Entities: A Guide to Regulatory and Billing Compliance, Second Edition, is a comprehensive guide to provider-based departments, including qualifying under CMS, unique billing and coding rules, and the business decisions behind owning or acquiring a provider-based clinic. It explains the effect an entity’s location and services have on its ability to operate and attest as provider-based and covers threshold requirements for this unique provider type, as well as more stringent requirements for off-campus clinics and departments. This book breaks down complex Medicare coverage requirements and provides insight about recent coding and billing changes, including the introduction and use of modifiers -PO and -PN, new place of service codes, billing for excepted and nonexcepted off-campus clinics and departments, and determining excepted and nonexcepted status. It also offers practical advice for helping patients understand the relationship between hospitals and provider-based entities and how this may affect treatment and services. Gina M. Reese, RN, JD, CPHRM, is an expert in Medicare rules and regulations and is an adjunct instructor for HCPro’s Medicare Boot Camp—Hospital Version. She spent a number of years in private law practice representing hospitals and other healthcare clients, in addition to serving as in-house legal counsel, prior to beginning her current legal/consulting practice.